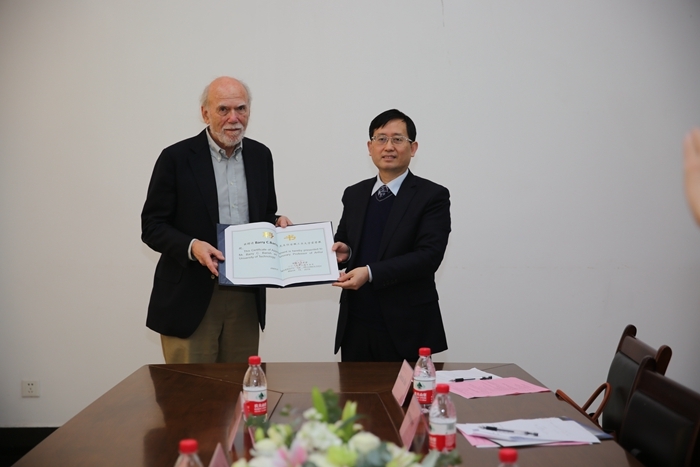 On March 15th2019, Barry Clark Barish, Nobel Prize Winner in Physics, paid a visit to AHUT and gave a lecture to its faculty and students. Prof. Barish won Nobel Prize in 2017 for his decisive contributions to the LIGO detector and the observation of gravitational waves. Prof. WeiXianwen, AHUT president, together with Prof. Gu Mingyan, AHUT vice-president, met with Prof. Barish. Prof. Wei, on behalf of AHUT, warmly welcomed Prof. Barish.Wei then made a brief introduction to Prof. Barish about AHUT’s characteristics, talent cultivation, international education and exchanges. Wei said, Prof. Barish has made indelible contributions to science, especially to physics, and what he had done set a good example for scholars and students. Wei then conferred honorary professorship to Prof. Barish. 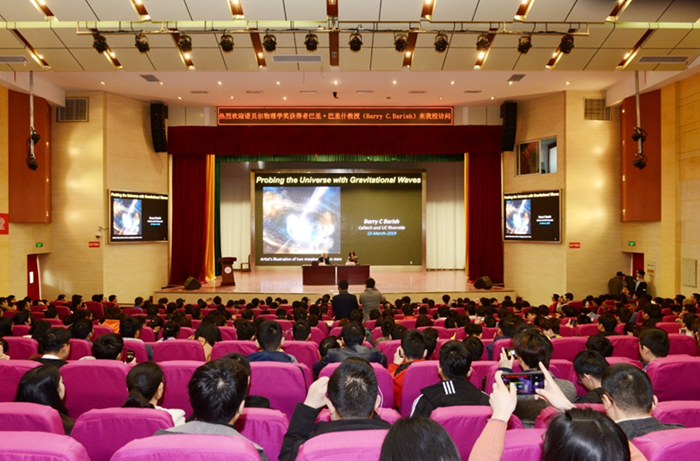 Afterwards, Prof. Barish delivered a lecture titled “Synergies between Advances in Technology and Great Discoveries in Physics”, to over 600 AHUT faculty and students at the conference hall of Students Activity Center at Xiushan campus of AHUT. Prof. Barish explained the observation of gravitational waves with plain language and vivid illustrations. He also pointed out the future development prospect of modern cosmology and physics. After his speech, the students raised a number of questions to him. Prof. Barish thought highly of these questions and answered them all.